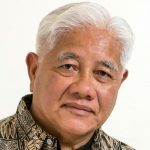 My father, Saturnino Villero, was a merchant mariner, ferrying passengers, farm animals, and agricultural produce from one island to another in the Philippines. He was at sea for days or even weeks at a time. 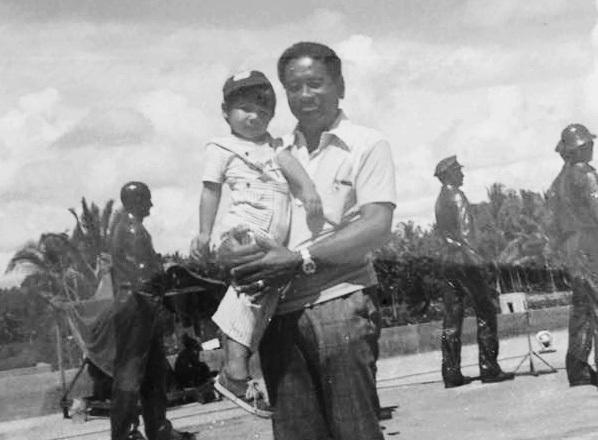 When my mother told me of his scheduled arrival, I’d wait excitedly for him at the jeepney stop. Together, we’d walk home and talk about his journey. One subject he didn’t talk about, however, was his role in World War II. One time, he smiled and showed me his Purple Heart medal. “I was a guerilla,” he said. But he didn’t elaborate. That didn’t stop my curiosity, however. 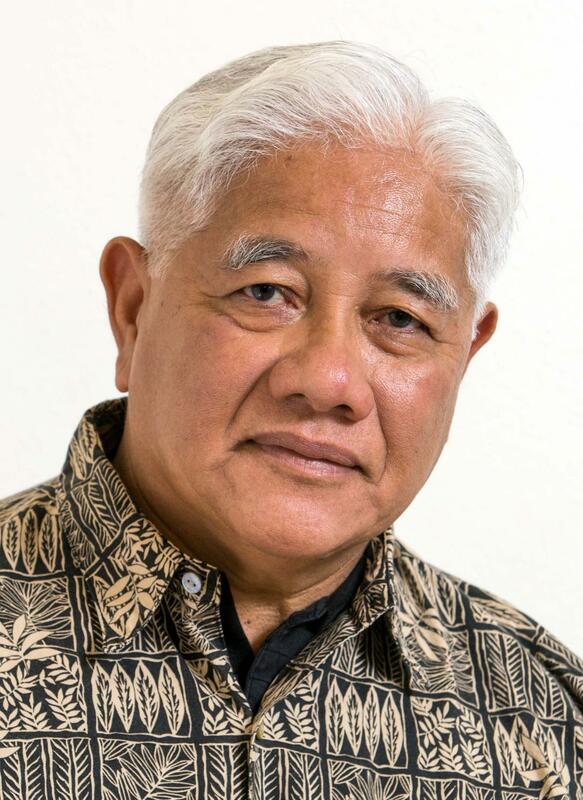 Years later, Tatay (“father” in Tagalog) applied for naturalization to become a U.S. citizen, and I was able to research his military documents which revealed the circumstances surrounding his wound and the weeks of recovery that followed. After Japan invaded the Philippines on December 8, 1941—one day after Pearl Harbor, 18-year-old Saturnino Villero enlisted with Medical Co. “B”, 95th Infantry, 92nd Division. He was inducted into the U.S. 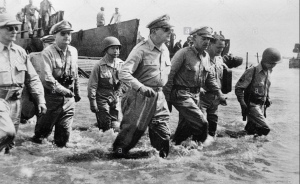 Forces in the Philippines (USFIP) as a Pvt. Rifleman with the guerrilla unit. This unit engaged in resistance operation movements, coordinated intelligence work units, and gathered food supplies from the voluntary contributions of civilians in the tropical mountainous region of northern Leyte. Tatay kept his war stories to himself. Perhaps he wanted to spare us from the pain of an experience he would rather forget. While this may have been a painful chapter in my father’s life, it was also history that our family cherished. We were glad that our father was part of the struggle — a guerrilla fighting alongside American troops to liberate the Philippines after over three years of Japanese occupation. 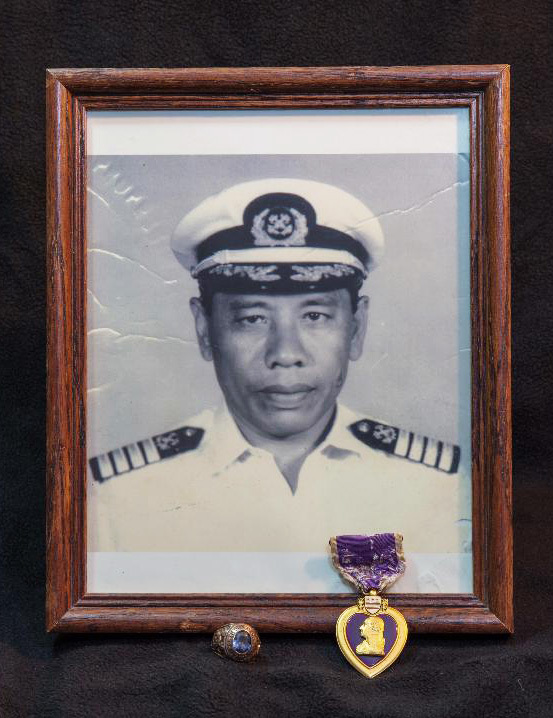 The Purple Heart became a family heirloom. The upcoming documentary The Girl Who Wore Freedom tells in part the story of young Dany Patrix, whose mother fashioned a dress out of a U.S. parachute after the liberation of France in 1944. 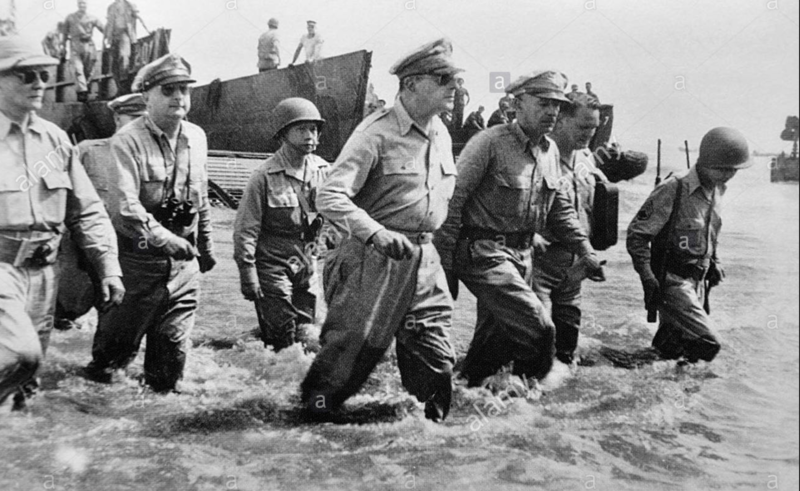 This year, both the French and Filipino people will commemorate the 75th anniversaries of allied landings in their respective countries with ceremonies, parades, and memorials, forever grateful to those who freed them from oppression. Dany’s dress and my father’s medal both became cherished pieces of family memorabilia — reminders to present and future generations of liberation, freedom, and peace. 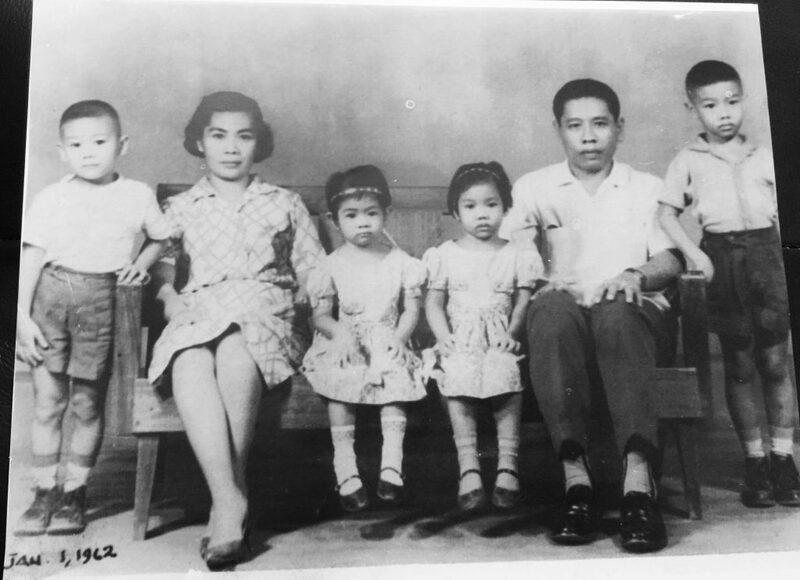 Tatay passed away in September of 2000 in Yuma, Arizona; laid to rest in a country he fought alongside 59 years earlier. I won’t forget his story. Let us never forget the stories and sacrifices of those who have served. Joselito N. Villero is a photojournalist who covers news and sports in Imperial Valley, California. He is a former staff photographer with the Imperial Valley Press, and his photos have been featured in The Desert Review newspaper, Imperial Valley Alive! and Valley Agribusiness & Desert Growing Digest magazines. He earned his B.S. in Development Communication in 1978 from the University of the Philippines in Los Baños. Saturnino A. Villero is a humble person. He would have been embarrassed to be published in a paper. Probably he was not aware he was involved in world peace. To me he is a World War II hero. I miss him dearly.